Introduces the most memorable opening and closing arguments from the past century of American legal battles in the courtroom, featuring more than two dozen selections that highlight diverse facets of the legal process, including such cases as Patty Hearst, Michael Skakel, Timothy McVeigh, Ethel Rosenberg, Karen Silkwood, and more. Reprint. 10,000 first printing. About: Presents opening and closing arguments from past American cases in the courtroom, featuring more than two dozen selections that highlight diverse facets of the legal process and tactics of the attorneys. 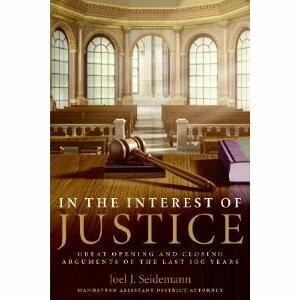 About: Introduces the most memorable opening and closing arguments from the past century of American legal battles in the courtroom, featuring more than two dozen selections that highlight diverse facets of the legal process, including such cases as Patty Hearst, Michael Skakel, Timothy McVeigh, Ethel Rosenberg, Karen Silkwood, and more.